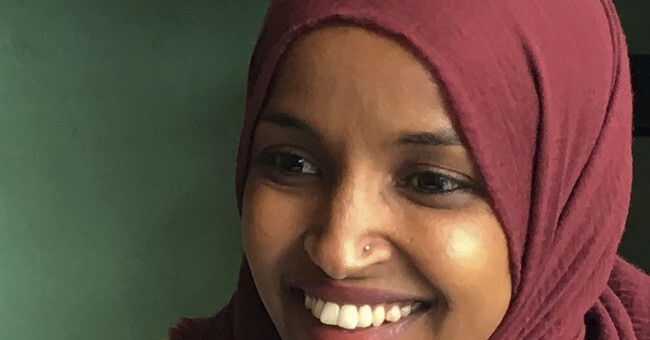 The Progressive Change Campaign Committee (PCCC) on Saturday sent an email to supporters about President Donald Trump's tweet about Rep. Ilhan Omar's (D-MN) previous comments on September 11th. Not surprisingly, their goal was to drum up progressive support Omar...while fundraising at the same time. A SAD AND INFURIATING UPDATE: Trump just piled gas onto the dumpster fire burning at Rupert Murdoch's NY Post and Fox "News" -- Tweeting racist attacks on Congresswoman Ilhan Omar. We all need to see what's going on here. Please read this email. Trump knows his ideas are unpopular with 2020 voters. So he's doubling down on his racist "Build The Wall" mantra and family separation at the border by making racist attacks on Ilhan Omar a centerpiece of his 2020 re-election campaign. Trump supporters targeted Congresswoman Omar with death threats this week, and they will target her for defeat in 2020. History will associate this moment with McCarthyism and internment camps. Scapegoating. Appealing to the worst. Ilhan is a strong, amazing progressive woman leader -- but this is more than anyone should have to endure. Let's please show her she's not isolated. Donate $3 or more to her re-election today. We all hope Nancy Pelosi and all Democratic leaders publicly reject these attacks and join people across the nation in getting Ilhan's back. A Trump supporter recently issued a death threat against Congresswoman Ilhan Omar saying he "loves the president" and "hates radical Muslims in our government." Rep. Alexandria Ocasio-Cortez jumped to Ilhan’s defense, calling out Republicans for "weaponizing her faith." Republicans have made clear they want to attack, marginalize, and defeat progressive women of color who are changing the debate -- like Ilhan, AOC, and Rashida Tlaib. Please get Ilhan Omar's back by donating to her re-election today. Help show all Democrats what it looks like to rally around the future leaders of our party. We must stand united. We all hope Nancy Pelosi and all Democratic leaders publicly reject these attacks and get Ilhan's back. American Muslims like Ilhan Omar are unfairly targeted every day. Let’s be louder than the hate. We need to show Rep. Omar that PCCC members have her back. Watch this clip from last night’s All In With Chris Hayes and then join fellow PCCC members and donate today to support Rep. Ilhan Omar against these dangerous Islamophobic attacks. Can you chip in today to support Rep. Ilhan Omar and show the strength of our progressive movement? Progressive are quick to pounce on anyone who calls out Omar, Rashida Tlaib and Alexandria Ocasio-Cortez for saying things that are factually inaccurate or insensitive. The Democrats claim to be the all encompassing party, the party that welcomes minorities, women and members of the LBGT community with open arms. But if anyone questions the content of what a Democrat says the questioner is suddenly islamophobic, xenophobic, homophobic, a misogynist and every other kind of "-phobic" possible. Dems, take a look in the mirror. Look at what you're doing wrong. Stop trying to blame everyone else for condemning things your politicians say. If the roles were reversed you'd be up in arms over Republicans failing to call out their own for similar things Omar said.